Nearly 40% of Detroit residents live below the poverty line and 21% of metro Detroiters are food insecure. Keep Growing Detroit (KGD) was established to promote a food sovereign city where the majority of fruits and vegetables Detroiters consume are grown by residents within the city’s limits. The aim is not only to provide residents with seeds to increase food security but to achieve “food sovereignty,” where residents are the leaders and beneficiaries of a transformed food system, able to make decisions about the health, wealth, and future of their families and community. 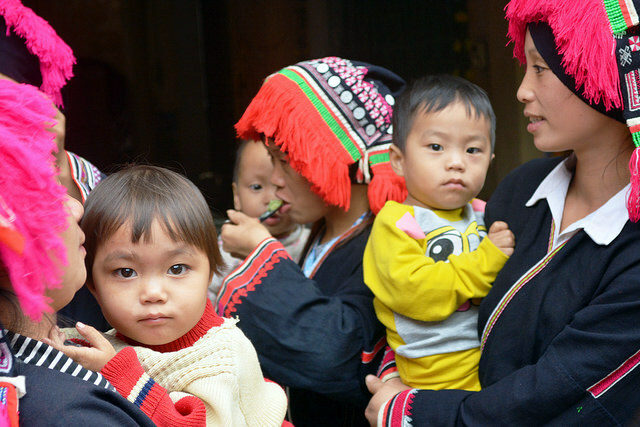 This is the second year of a three-year partnership between BGR and Helen Keller International that addresses household food security for residents of Muong Lang Commune, in Son La Province, a remote mountainous region in the northwest of Vietnam. There is high malnutrition in this region, which is a contributing factor to 50% of infant and childhood deaths. The Enhanced Homestead Food Production (EHFP) program trains multi-generation families to increase year-round food production with more diversified crops to improve nutrition and thereby to improve health. In all over 100 families in 10 villages will benefit from the program (approximately 550 individuals). The grant from BGR sponsors a third of the program. In year two, an additional ten communities will benefit from the establishment of Village Model Farms (VMF)—a community based resource for training and technical support for the roughly ten families that typically make up each small village. 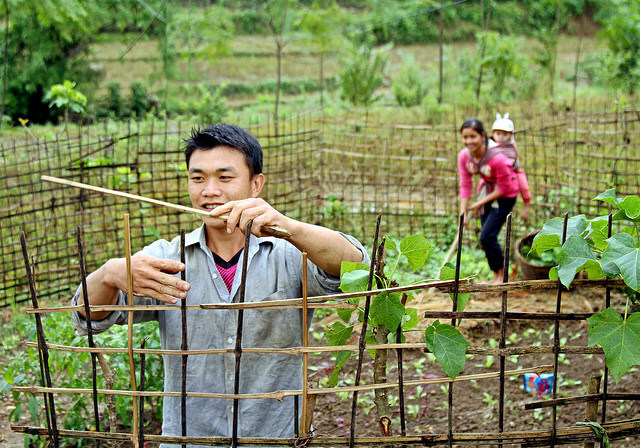 Within each village a community husband and wife are identified and trained as the VMF demonstration farmers. These VMFs will provide agriculture resources for the community households (i.e. seeds), educate families on nutrient rich crops, and provide hands on training including bio-composting, crop diversification, sanitation and hygiene, and even marketing strategies for income generation from sale of excess food production. The family model empowers women to actively contribute to the improved health of their village.